Rangana Herath proved why he is Sri Lanka’s MVP once again. The stand-in captain led the side to a 257-run victory against Zimbabwe in the second and final Test early on Thursday (November 10) morning in Harare, picking up the last three wickets to finish with stunning figures of 8 for 63 and overall match figures of 13 for 152, the best bowling in Zimbabwe in an innings as well as a match. The result, coming on the fifth day, sealed a 2-0 series victory for the visiting side, having previously won the first Test by 225 runs. Not bad for a player who made his captaincy debut at 38. The left-arm spinner finished the series with an astonishing 19 wickets at 15.10, with the next best, his opposite number Graeme Cremer, eight wickets behind his tally. Resuming on 180 for 7 in the morning and needing a further 311 runs for an improbable victory, Zimbabwe’s only hope was to delay the inevitable. It managed to do so for 13 overs before being bowled out for 233. The first wicket to fall was Craig Ervine, for 72 off 121 balls to Herath, who began proceedings. The batsman attempted to play the reverse sweep but gloved the ball that was well caught by Dhananjaya de Silva. Though Ervine reviewed straightaway, the replays were inconclusive and he had to make the long way back. Herath then trapped Carl Mumba in front to pick up his 350th Test wicket — he had taken wicket No. 300 only seven games ago — and had Chris Mpofu (20) out in similar fashion to spark Sri Lanka’s celebrations. It was the side’s fifth Test win on the trot after whitewashing Australia 3-0 at home. 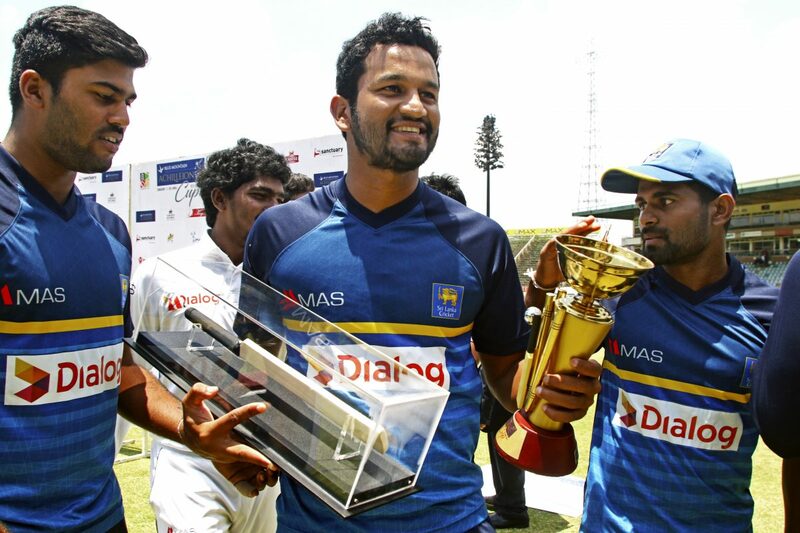 The win was set up by centuries from de Silva (127) and Asela Gunaratne (116), which helped Sri Lanka pile up 504. After that, it was simply left to Herath to weave his magic, which he did so with glee.